After editing over 200 files, 3000 lines of code, and 150 hours of hard work I am happy to announce the release of AtoMiC ToolKit 2.0. 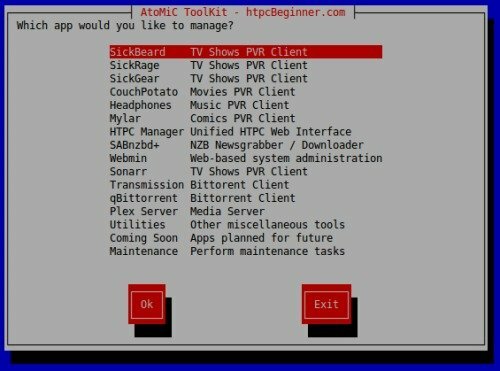 Many have praised the AtoMiC ToolKit for how easy it makes managing apps such as CouchPotato, SickBeard, Torrent clients, and more. After the initial release in April 2015, it was updated in October 2015 to add Headphones and Mylar support and January 2016 with a completely rewritten code and Webmin support. A Now, the bigger and better AtoMiC ToolKit 2.0 now sports a GUI (sort of) menu that is easy to navigate and choose actions you want to perform. Take a look for yourself in the screenshots below. And best of all its FREE! (please consider donating if toolkit helps you. The following apps are now fully supported: Install, Uninstall, Backup, Restore, Reset Password, Manually Update and View Access Details. My hope is to add support for the following: Planned – Plex, Deluge, ShellInABox, Emby, Monit, Apache, MySQL, nzbHydra, MusicBrainz, NZBGet, RTorrent/RUTorrent, etc. in future. Ultimately, I would like the ToolKit to allow automatically setting up the whole ecosystem for you. Downloading and using AtoMiC ToolKit 2.0 is the easy part. Just issue the following commands in sequence and you should be ready to roll. Just choose the option you want to pursue and sit back, relax, and watch the magic that happens in front of you. 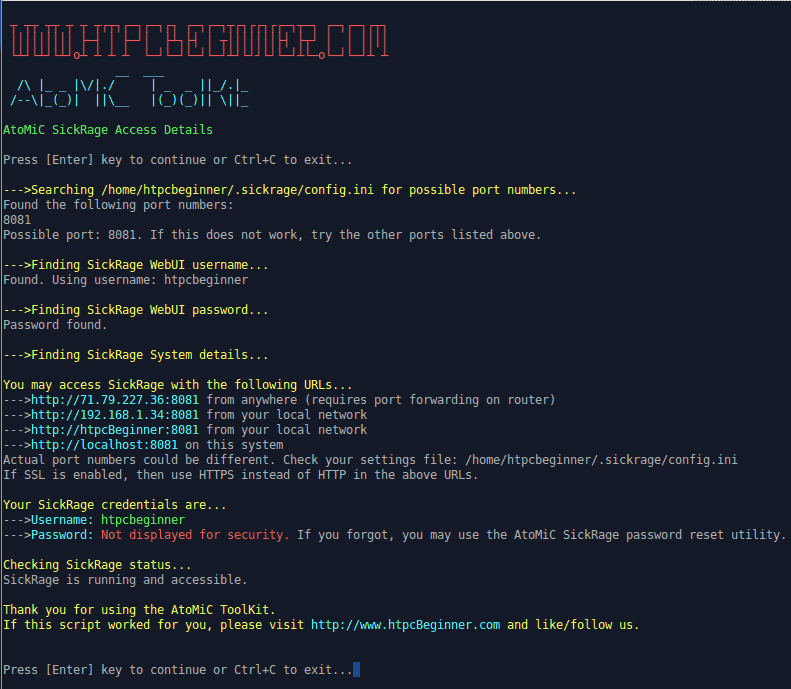 You may come back and run the AtoMiC script any time you want to do any operation. Watch it in action in the video below. Introducing new features is a lot of work. So if you know bash and can help with coding, then please consider collaborating with us on GitHub. 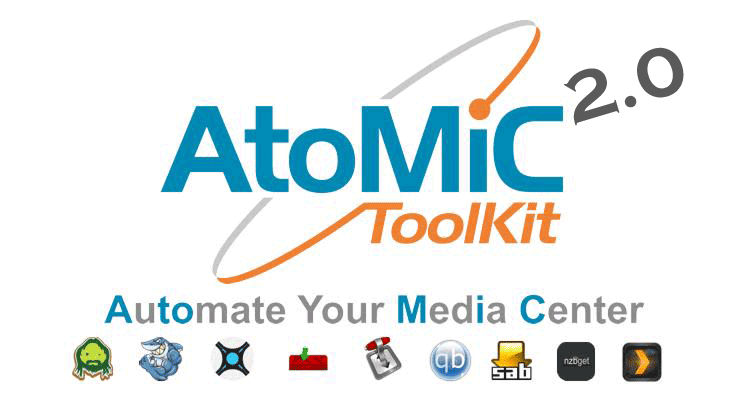 We have put in several hundred hours of work into developing AtoMiC ToolKit. If it helped you please consider donating. All donations will be used only for AtoMiC ToolKit development. 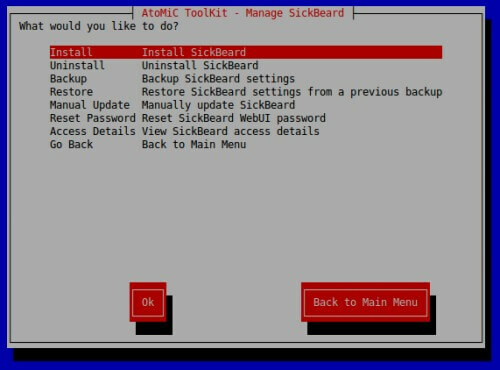 We hope you enjoy the all new AtoMiC ToolKit 2.0.